So, you want to raise money. A lot of money. But you don't know where to start. Well, you're not alone. Here's the good news. You can raise more money. But first, you need a plan. 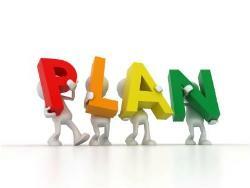 Ben Franklin famously said, "If you fail to plan, then you are planning to fail." This definitely applies to fundraising. Sandy Rees, CFRE and creator of the Get Fully Funded system agrees. Sandy told me, "In my experience, fundraising without a plan is pretty chaotic. It leaves you open to whatever happens to come along or whatever crazy idea one of your board members comes up with. When you have a plan, you have a clear direction and goal, and it's easier to handle their hair-brained ideas." Need more proof? A recently released study of small nonprofits (less than $2 million budgets) found that, when it comes to fundraising results, "the ONLY thing that matters is whether your organization has a fundraising plan." Okay. So, where do you begin? A lot of nonprofits start their fundraising campaign by setting a dollar goal. A goal is good. However, instead of setting an arbitrary goal (something like, "We need to raise $100,000"), Sandy says you should start by asking (and answering) these five questions. What, very specifically, do we want to fund? For instance, a new staff position? A community playground? Twice as many meals as we're currently serving at our senior center? "General operations" isn't a good answer. Like its name implies, it's too general. Be very specific here. Why do we want to fund #1? Another way to think about it is by asking "What will happen if we don't raise the money we need to fund #1?" The answer becomes the basis for your appeal to donors. How much do we need to fund #1? Let your mission and the need drive the amount of money you need to raise. Don't allow the money you have (or don't have) to determine the work that you're able to do. When do we need the money to fund #1? Be proactive when planning what you need and when you need it. Think of your fundraising campaign as a springboard to future success and on-going sustainability. Who can help us raise the money we need? Large campaigns (and the most successful ones) will have a strong campaign leader who is not a staff person and who may - or may not - be a board member. You might ask them to co-sign general fundraising letters. You might ask them to open doors for you. And you might even ask them to help you approach and ask key donor prospects. In Forces For Good: The Six Practices of High-Impact Nonprofits, there's a terrific anecdote about how the founder of a small, Georgia-based nonprofit persuaded former president Jimmy Carter to become an advocate for their program. President Carter's involvement changed how that small nonprofit was able to raise money - and how much they were able to raise. The organization? Habitat for Humanity, which grew from $3 million in annual revenue to more than $100 million in the first decade after President Carter became their chief evangelist. Granted, most of us don't know former presidents. So, instead, ask who you (as staff and board members) know that fervently believes in your work (see #2) and would be willing to support your campaign at a leadership level. With those five questions answered, you're ready to start developing your actual fundraising plan. What, then, should your plan include? Your strategies for each funding source (e.g. For grants = research grant opportunities, then create a deadline calendar, then write proposals). Bottom line: if you want to raise more money, you need to answer a few questions first, then create a solid fundraising plan and put it to work. Remember, too, your plan needs to be more than a list of ideas and intentions. Add specific actions and create accountability, then you'll be ready to raise more money. This post was inspired by Sandy Rees, CFRE, and her presentation "Create and Run Your First Big Fundraising Campaign." Sandy is the creator of the Get Fully Funded system. There's a saying, "A plan without action is futile, and action without a plan is fatal." Check out these resources before you start your next fundraising campaign. They will help you get started with your planning and give you ideas for what you need to do to ensure your fundraising success. USE THIS CALCULATOR to see how many gifts - and how many prospects - you need to make your fundraising goal.